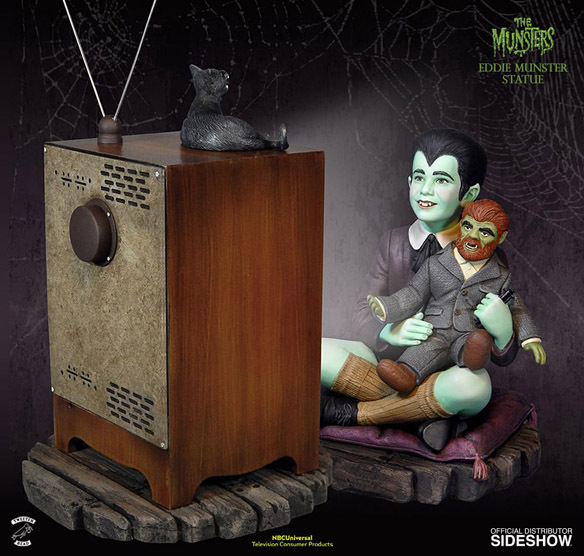 The Munsters Eddie Munster Maquette features a perfectly ordinary kid watching his favorite television show with his favorite stuffed toy. 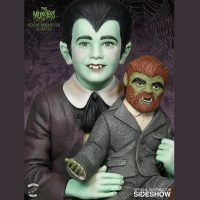 At least he’s perfectly normal in the world of the Munsters, where normal is incredibly loose since Dad is Frankenstein’s monster and both Mom and Grandpa are vampires. 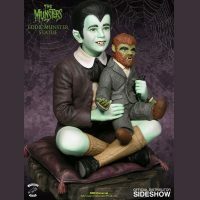 The adorable(??) 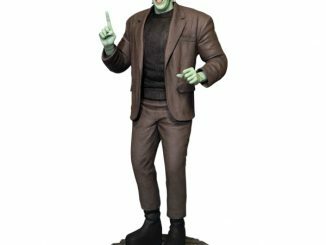 tyke is pictured with a healthy bluish-green skin tone and a hairstyle that’s never out of fashion. 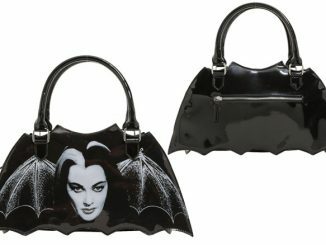 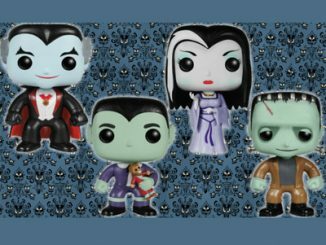 Just ask the folks of Transylvania how much they love the widow’s peak. 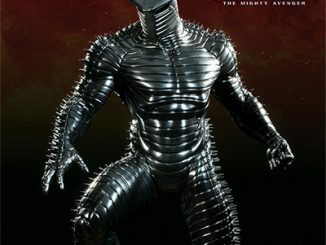 And that outfit? Absolutely timeless. 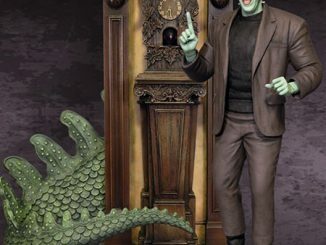 And speaking of clothes, Eddie’s stuffed toy, Woof-Woof, is looking pretty stylish, too. 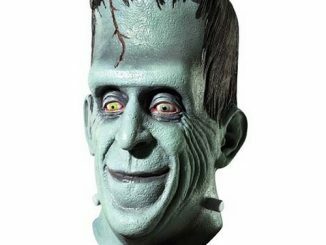 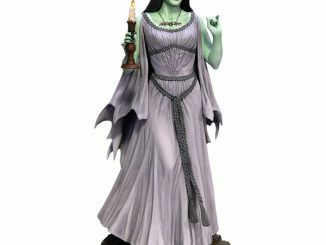 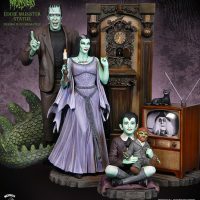 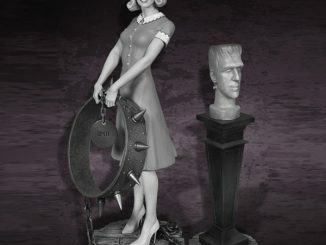 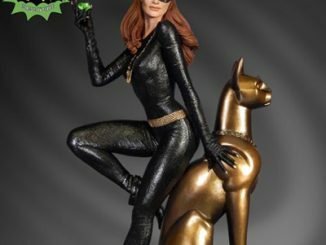 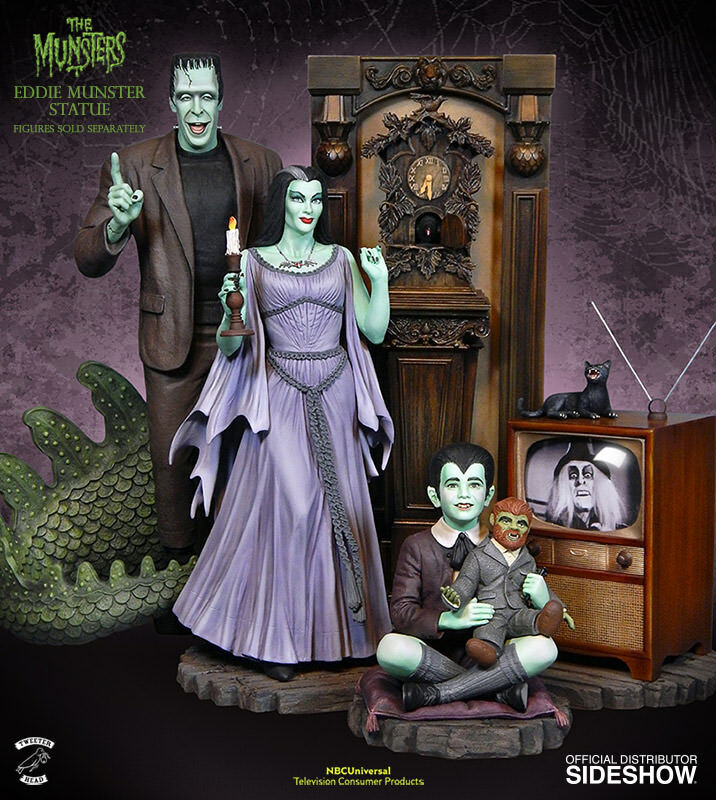 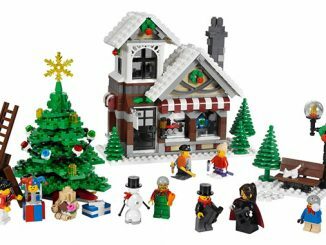 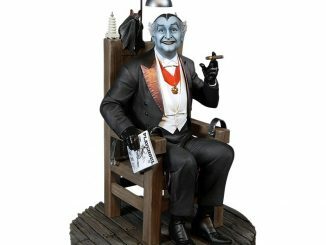 The 6.5-inch-tall statue is the perfect addition to go along with your statues of Herman Munster, Lily Munster, and pet dragon, Spot. 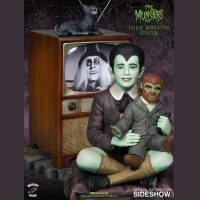 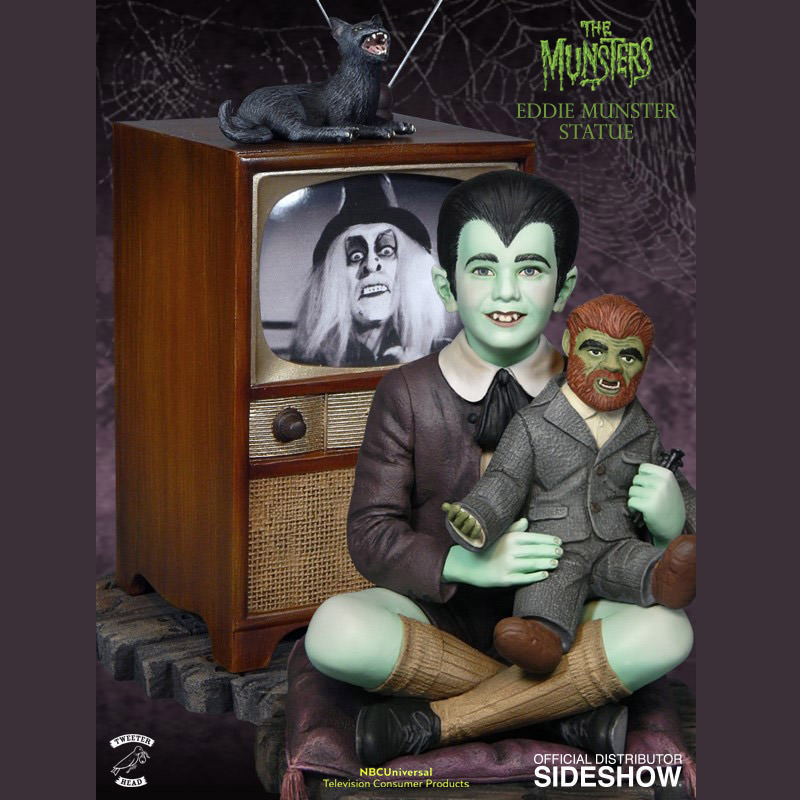 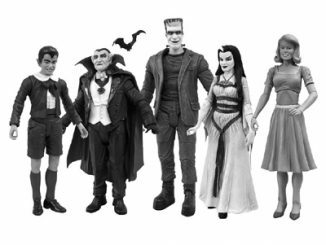 The Munsters Eddie Munster Maquette will be available Oct 2015 – Dec 2015 but it can be pre-ordered now for $239.99 at Sideshow Collectibles.